I was asked to create a visual identity for the newly founded e-commerce and web development agency called Tendrik. The chosen typeface had to reflect the technological side of the firm. The shape I used for the logo has rounded corners, incorporates the first letter of the name and at the same time looks like it is composed of 3 different parts but they stand united. This is to imply that Tendrik offers complete solutions, which can be complex but work towards one goal. As part of the brand working towards this direction is the colour blue which associates with trust, stability and confidence. 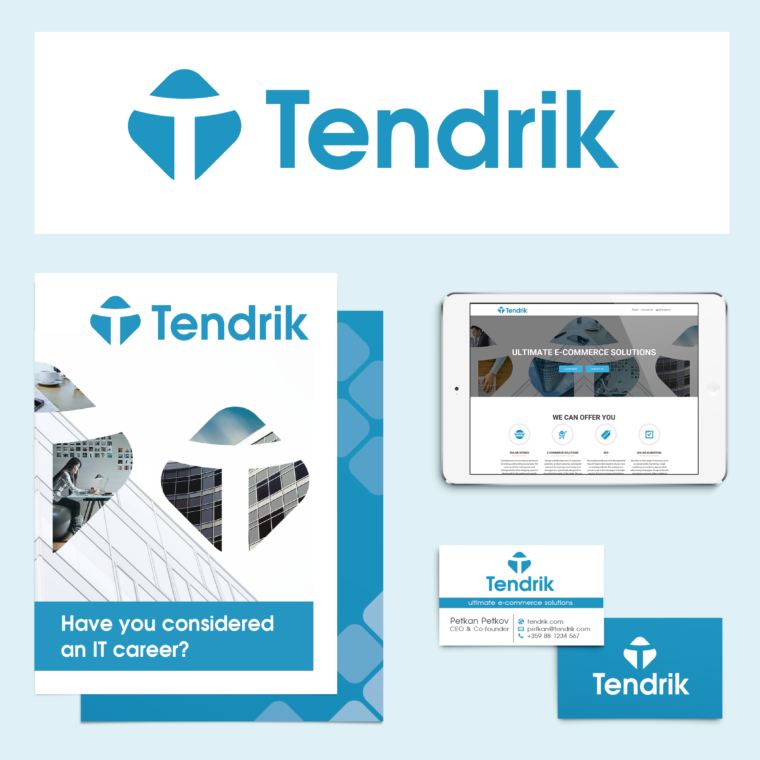 I was also asked to do some print and promo materials and initial design for Tendrik’s website. This naturally led to establishing the logo’s T-shape and rounded rectangles as a design device and pattern. You can see the visual identity in use on their website.